Lots of retailers keep track of their competitors manually by checking competitor websites for prices and availability everyday - all day. Then they calculate their price strategy and reprice all their products manually to secure their place in the market. But in the age of technology, wouldn’t it be easier to have this whole process automated? Monitoring your competitors prices, availability, strategy, etc. over time plays an important role in shaping your own business strategies, helping you achieve your ultimate goal of being the most competitive and profitable store you can be! Studies show that in 2012 only 25% of retailers were comparing themselves to their competitors at all. Price plays a big role in consumers purchasing decision, as the average online shopper compares at least 4 sites prices before making a purchase. 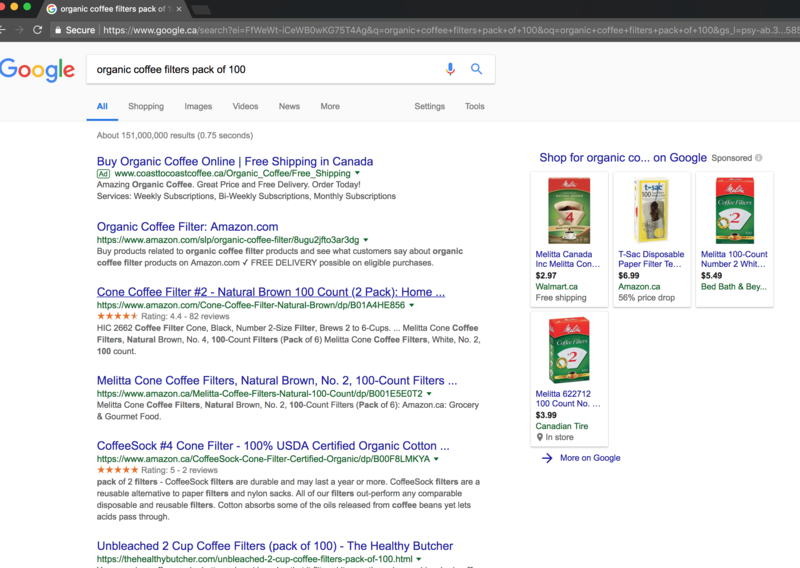 So if you aren't keeping an eye on your competitors, but your consumers are, how many shoppers are leaving your site to buy from a more competitive store? So automation is the solution, how? Apps like PriceMole let you import all of your products from your shopify store, along with your costs, and see where your current prices are losing or making money due to costs incurred. The top 5 search results are most likely your biggest competitors. Google Shopping is also a great help in discovering who carries the same products you do. Once you have discovered who you should be keeping an eye on, you can add the competitors to the PriceMole app. The app will check on a daily or hourly basis, to see if the price or availability has changed, and update you, just like a private investigator. Always spying for you. You can now see how you compare to the rest of the marketplace or ensure to raise your price when your competitors run out of stock! That’s where the Competitor Price Monitoring Automation stops for most apps. 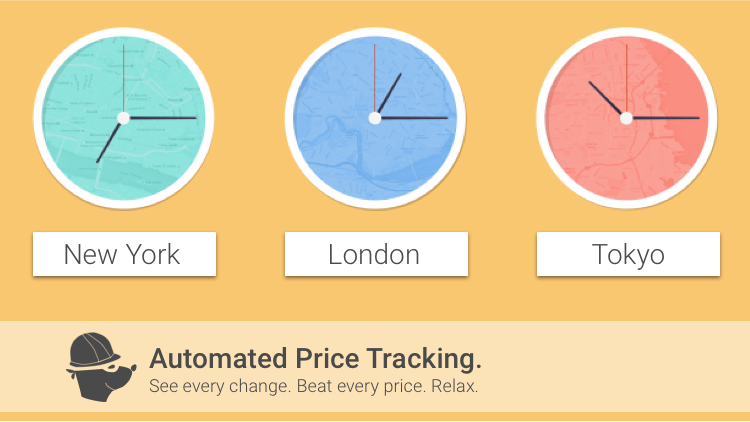 You take a look at the changes that occured and have to reprice your prices manually..
PriceMole takes it one step further and offers automated price changes based on smart strategies that consider competitors prices and availability. In the example below, you can see how PriceMole automated 111 price/stock updates in the last 24 hours, which someone would have had to do manually otherwise. 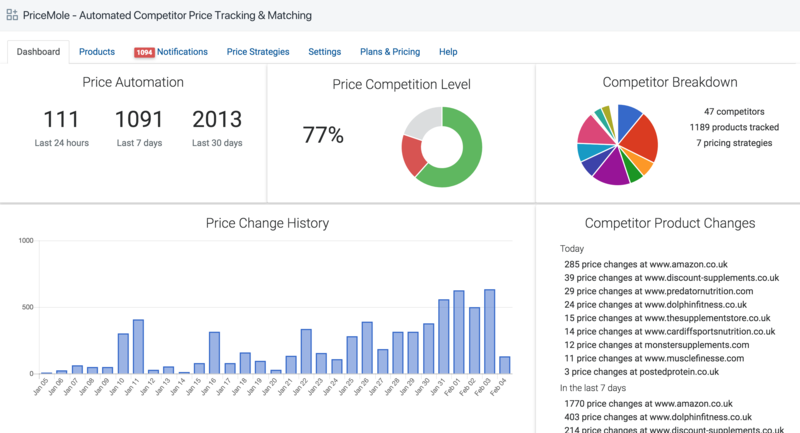 Competitor price tracking also allows you to determine what trends are developing. With this knowledge, you can apply your strategies and tactics accordingly to set the best prices. Once you understand your competitors' strategies you can compete much more effectively – and you can price optimally. You decide if you want to be lower, higher, or match the average, lowest, or most expensive competitor - the basics. Advanced Price Strategies let you specify if you want to ignore certain domains or regions. Then specify how you want stock to be handled as well, for drop-shippers this is key. Additionally add a % margin to specific domains that are priced without taxes, or that require shippng costs after adding them to your cart. Create strategies that work for you, keep them smiple or make them as advanced as you like. With an automated solution like PriceMole, you save all of those man-hours and ensure that consumers always check your site for most best competitive prices available. Finally, her's your chance to tell us what YOU think about tracking your competitor's prices? Contact Us to learn more about automating your competitor price tracking and repricing!